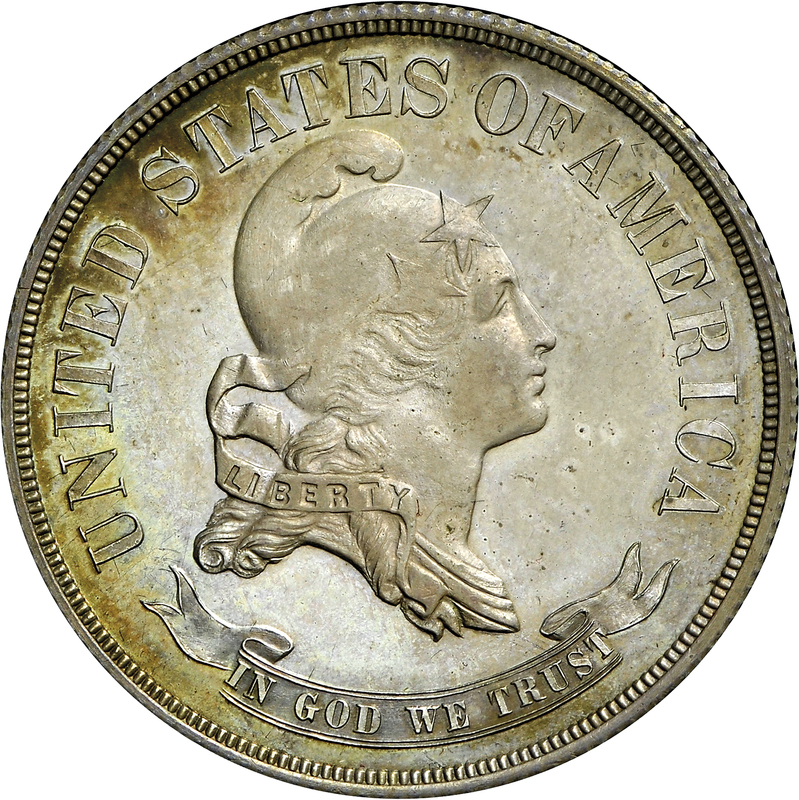 This Standard Silver design features a representation of Liberty on the obverse facing right, wearing a cap with two stars. This lovely pattern is one of just over a dozen known, with ten examples recorded by Andrew Pollock. This coin is part of a long series of patterns coined in 90% silver and struck to support the “Standard Silver Plan” to keep coinage in circulation. Purchased from Douglas Weaver, January 21, 1974, via Michael G. Brownlee. Head of Liberty to right, wearing Phrygian cap, two stars on cap, hair flowing at neck, ribbons at neck as well, LIBERTY on ribbon, UNITED STATES OF AMERICA around, IN GOD WE TRUST on scroll below. 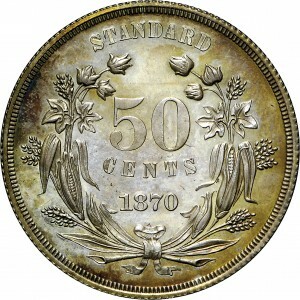 Wreath of corn and cotton, 50 CENTS 1870 on three lines in wreath, STANDARD above wreath. 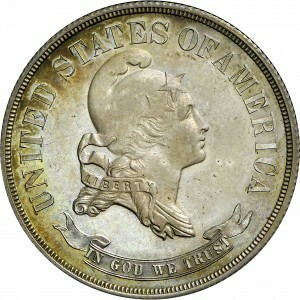 "Unlisted obverse, different from J-939 in that hair stars are larger!